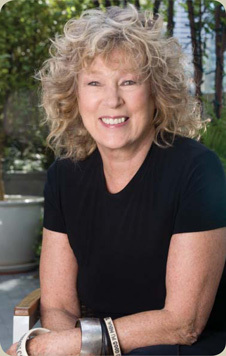 If you’ve never heard of Clodagh before, now is the time to get well acquainted with this pioneer in non-toxic materials. Clodagh has a passion for sustainably and design infused with partners who are as equally Eco-conscious and driven as they are. Clodagh has focused her design on three different equally inspiring hardware designs: Tribal, Primitive, and Stacked. The use of natural materials are imperative in all three of her designs emoting her focus on minimalism, simplicity, and serenity. Texture, sensuality, and warmth play huge roles in her inspiration. Stacked is modern, tactile and luxurious. The Stacked Collection is made from environmentally friendly recycled aluminum. 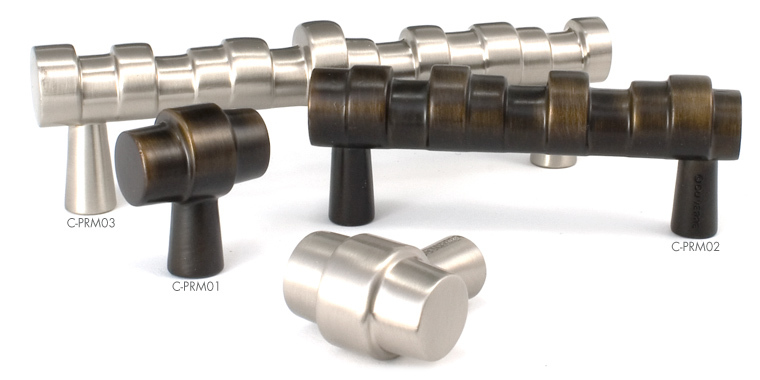 Knobs and pulls are available in two finishes. Tribal is original cabinet hardware by renowned designer Clodagh. Inspired by African weaving sticks and translated into sleek and modern hardware, the Tribal collection has already won praise from Interior Design magazine as one of the Best of the Year in hardware design. Tribal is made from environmentally friendly recycled aluminum. 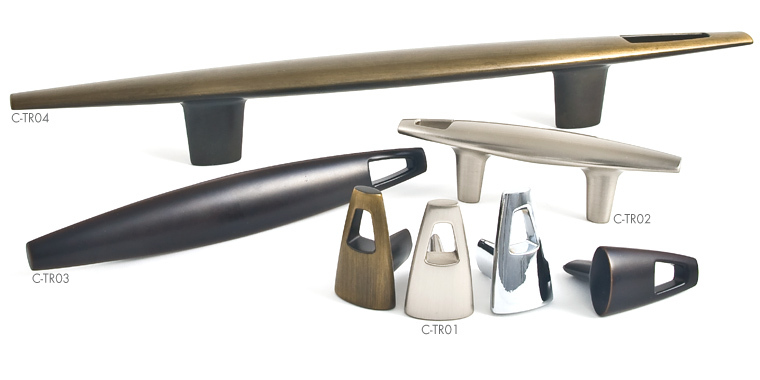 Knobs and pulls are available in four finishes. Original cabinet hardware designed by renowned designer Clodagh for Du Verre. Primitive is a bold, geometric pattern and is a Signature Clodagh motif. The Primitive Collection is made from environmentally friendly recycled aluminum. 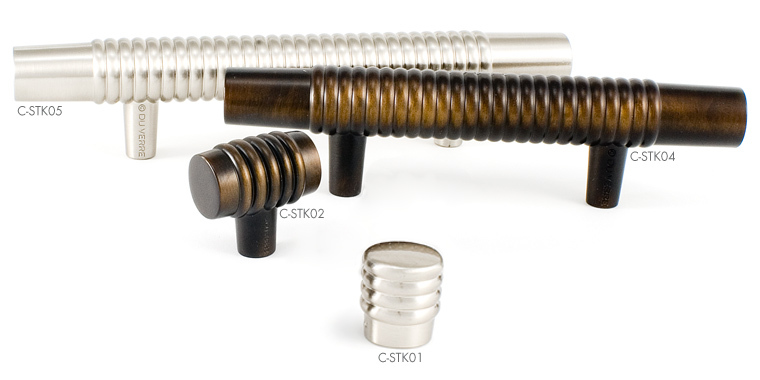 Knobs and pulls are available in three finishes. Clodagh is based out of New York City with an in depth portfolio that involves hotels, luxury spas, healthcare facilities, residential, branding, fashion, and home products and spans through 24 countries. She also boasts two very successful companies. 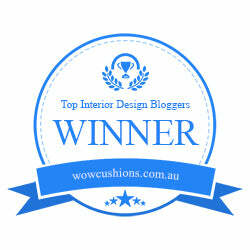 One is Clodagh Design, an interior design company; and the other is Clodagh Signature, the product design studio. The environments created from these places are full of sustainability and authenticity in materials via both companies. Du Verre design has partnered up with Du Verre, a design company headed by Gina Lubin. Du Verre Hardware is a cutting edge designer for original, contemporary hardware. Made from recycled aluminum Du Verre is environmentally friendly and compatible with LEED objectives. Their award winning designs have attracted the attention of the most exciting a prestigious design firms working today. For more information go check out Du Verre.com. So glad you enjoyed meeting Clodagh, she is a real talent!